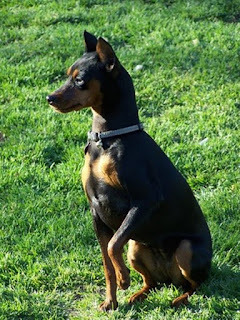 The Miniature Pinscher is not a scaled-down Doberman, although he is fearless and makes a terrific watchdog. Known as the “King of the Toys,” this little fireball is best suited to an experienced owner who can manage his willful nature. On the plus side, his antics are pure entertainment, and he is simple to groom. 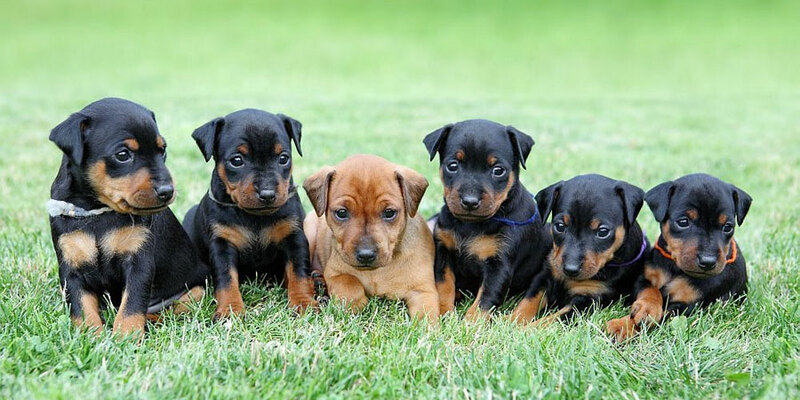 Originating in Germany, the Miniature Pinscher was bred as a way to control the rodent population in stables. 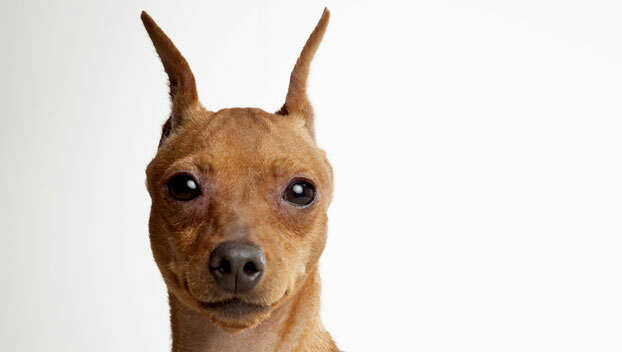 Developed from the Italian Greyhound and Dachshund, the Miniature Pinscher is small but fast. Often referred to as the "king of toys," the breed enjoys living a very active life that is stimulating both physically and mentally. The diminutive Min Pin is a bundle of energy, full of vigor. He's highly curious and tends to investigate — and possibly eat — everything. He must be watched closely so he doesn't get into something he shouldn't. He's a skilled escape artist and should never be outside off-leash — in fact, you'll have to make sure he doesn't dart out whenever you answer the front door. 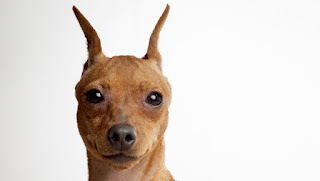 For these reasons, the Min Pin is not the dog for everyone, especially first-time dog owners. His energy and intelligence can catch his owner off guard. Without proper training and supervision, he can quickly become a tyrant in the household. Miniature Pinschers are hardy little dogs, but they can be easily injured by roughhousing. Because of this, they're better suited as pets for older children who have learned how to care for a dog properly. The Min Pin is sensitive to cold. Be sure to put a sweater or coat on him when you take him outside in really cold weather. Because they were originally bred to hunt vermin, Min Pins may attack small objects , which can be a choking hazard. He may also take off after small pets that he perceives as prey. Min Pins have a lot of energy — probably more than you have. They're also very curious. You must supervise your Min Pin constantly, and if you can't, put him in a crate. You must be willing to take the position of "alpha" in your household. If you don't, the Min Pin will gladly assume the role. The Min Pin is strong-willed and not for novices. He can be possessive of toys and food. The Min Pin can have either cropped or uncropped ears and a docked tail. Coat colors include red, stag red (red with black hairs), black with rust markings, or chocolate with tan. The Min Pin likes to play both indoors and out. He doesn’t need a lot of exercise, but a daily walk is important to give him the mental stimulation he needs. Possible alterations: Tail may not be cropped and dewclaws may be removed. The Miniature Pinscher is thought to be an old breed, but documentation can only trace it reliably back several hundred years. It was developed in Germany to kill rats in homes and stables. There it was first called the Reh Pinscher because of its supposed similarity to the reh, or small deer, that used to inhabit Germany's forests. Many people think that the Miniature Pinscher was developed as a mini Doberman, but though he looks similar, he's a distinct and much older breed. 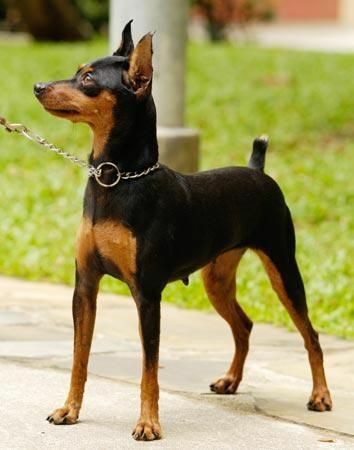 Development of the Miniature Pinscher took off in 1895 when German breeders formed the Pinscher Klub, later renamed the Pinscher-Schnauzer Klub. It was then that the first breed standard was written. Miniature Pinschers were first shown at the Stuttgart Dog Show in Germany in 1900, at which time they were virtually unknown outside of their homeland. From 1905 until World War I, the Miniature Pinscher rapidly grew in popularity in Germany. After World War I, breeders in Germany and also in the Scandinavian countries worked to improve the line. 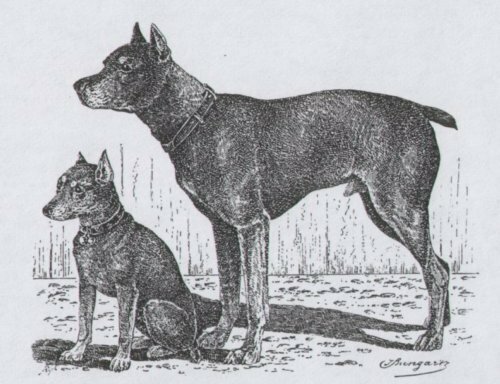 Around 1919, the first Miniature Pinschers were imported in the United States. Only a few were shown in American Kennel Club dog shows at first. But by 1929, the Miniature Pinscher Club of America, Inc., was formed. Also in 1929, the AKC recognized the breed. At that time Min Pins were shown in the Terrier group. 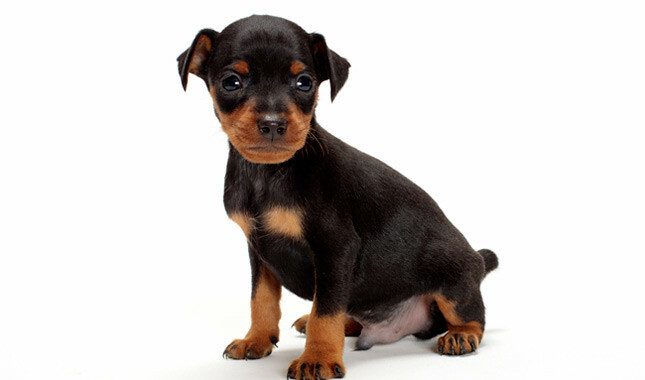 In 1930, they were reclassified as Toys and called Pinscher (Miniature). They were renamed Miniature Pinscher in 1972. 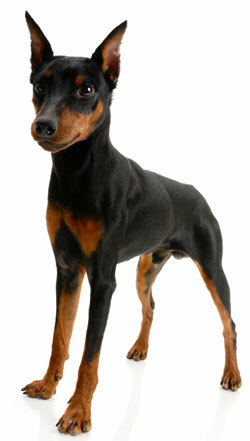 Contrary to popular belief, the Miniature Pinscher was not developed by breeding Doberman Pinschers down to size. In fact, Min Pins are actually a much olde breed than the Doberman. Nicknamed the “King of the Toys,” your Min Pin will also rule as King or Queen of your house. Breeders and owners agree, these little dogs believe they are the center of the universe and expect everyone to cater to their whims. They have a unique high-step manner of walking which has been likened to a prance, and they ooze confidence wherever they may go. Min Pins are cuddle bugs who will find their way to your lap the instant you sit on the couch. They do love to run, however, and will sometimes tear through the house for no apparent reason. Min Pins make excellent watchdogs, sizing up everyone who approaches his kingdom, and requiring all guests earn his trust. The Miniature Pischer, which has an average lifespan of 12 to 14 years, may be prone to some minor problems like Legg-Perthes Disease, patellar luxation, hypothyroidism, Mucopolysaccharidoses (MPS) VI, and heart defects. Progressive Retinal Atrophy (PRA) may also be seen in some Min Pins. To identify some of these issues, a veterinarian may recommend knee, eye, and hip tests for the dog, as well as DNA to confirm MPS. Grooming is easy, as the smooth, short-haired coat requires little attention, needing only occasional brushing and shampooing. Care must be taken in cold weather. Sweaters or baby blankets for a Miniature Pinscher keep it from getting too cold. Miniature Pinschers are an active breed and need access to a fenced yard, or be given a daily walk. The Min Pin requires plenty of activity, but as it is small, its exercise requirements can be fulfilled either indoors or outdoors. It needs many good game sessions daily to keep it active. Even though it loves outdoor romps in a secure place, it is not fond of the cold. The Miniature Pinscher is good for apartment life. It is very active indoors and will do okay without a yard. The Miniature Pinscher should be protected from the cold. 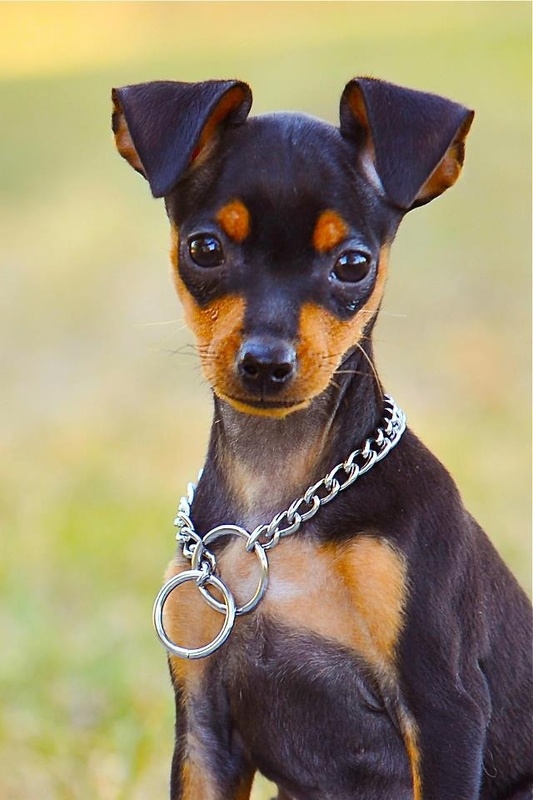 The Miniature Pinscher should not really be treated like a toy dog – it’s not a great socializer and will have a high tolerance for work and exercise. Consequently, if you want to make sure that your dog is properly raised according to the breed’s characteristics, it’s a good idea to make sure that your Miniature Pinscher has plenty of outdoor exercise on a regular basis. Miniature Pinschers aren’t ideal for large families and are generally regarded as a dog for one or two people. 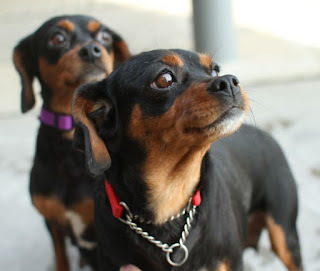 Min Pins are tiny, which makes them excellent for apartment and condo life, but they should be taken for daily walks and allowed to run once or twice per week. Min Pins are often high-strung to begin with, so allowing them to burn off as much energy as possible can keep their temperaments in check. A good activity to engage in with a Min Pin is agility. Once leadership is established, Min Pins are highly trainable, and take well to the agility course. He will enjoy the exercise, appreciate the opportunity to use his mental prowess, and more importantly, he will eat up the time spent with his favorite person. Min Pins are really easy to groom — there’s almost nothing to it because of their short, smooth coat. Just use a bristle brush once or twice a week. They shed an average amount, but their small size means that there is less fur shed than from a larger dog with the same kind of short coat. Bathe the Min Pin as you desire or only when he gets dirty. With the gentle dog shampoos available now, you can bathe a Min Pin weekly if you want without harming his coat. As with all Toy breeds, dental issues are common. Brush your Min Pin’s teeth daily with a vet-approved pet toothpaste and have your veterinarian check them regularly. Nails should be clipped about every two weeks; you should not be able to hear the toenails click when the dog walks. If a Miniature Pinscher is raised with children who treat him carefully and kindly, he will adore them and be a trustworthy companion. However, if children are allowed to grab or treat him roughly, even accidentally, he may develop a bad attitude toward kids, or at least want to avoid them as much as possible. The Min Pin is best suited for children age 10 and older. Many owners have more than one Min Pin; properly socialized and trained, these dogs get along with other dogs just fine . As far as other pets are concerned, the Min Pin's instinct is to chase, so he isn't well suited to homes with small mammals. Although suited for apartment life due to his small size, the Miniature Pinscher requires a lot of activity to satisfy him. He enjoys running, playing and needs a daily walk to fulfill his physical needs. The Miniature Pinscher will partake of regular romps in the yard, but will require a large fence to avoid attempting an escape. In need of proper training, the dog can easily develop behavioral problems if allowed to form small-dog syndrome. OK with older children, it's advised that they are taught how to behave around dogs, as he may nip or bite. In addition, he doesn't care too much for strangers and may bark or attack them unless taught otherwise. It’s thought that the Min Pin was created by crossing breeds as diverse as the Dachshund, the old German Pinscher, the Manchester Terrier, and the Italian Greyhound. It's likely that your Miniature Pinscher will wake at the crack of dawn, before his owners. Ensuring the home is safe, he'll make his way outside to sniff out any vermin and engage in games by himself. Once he hears the family awaken, he'll greet you in the kitchen, patiently awaiting his meal. After a quick walk, he may have a quick nap, but will then spend the day guarding his home and playing with his toys. Not keen on too much affection, he'll end the day with a quick pat on the head for his excellent behavior.